Upon arrival meet &amp; greet welcome, before transfer to hotel. Rest of day free at leisure. After breakfast drive to Bhaktapur, (UNESCO World heritage site). Bhaktapur is filled with monuments, most terra-cotta with carved wood columns, palaces and temples with elaborate carvings, gilded roofs, and open courtyards. The city is dotted with pagodas and religious shrines. The Art Gallery has a fascinating collection of ancient manuscripts, thangkas, centuries-old stone sculpture, and antique paintings that belong to the Hindu and Buddhist traditions of various periods. After Bhaktapur, drive to Nagarkot which is at a height of 2300 m above sea level. It commands a classic panorama of the Himalayan ranges. 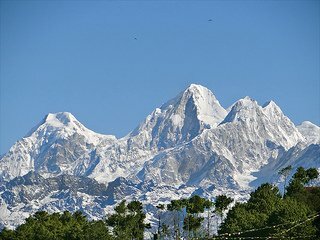 You can see from here many major peaks of the Himalayas, like Langtang, Langtang-lirung, Chobha bhamre, Amadablam, Dorje Lhakpa, Gaurishankar and even Mt. Everest on a clear day. Wake up early in the morning to catch the sunrise with the panoramic Himalayan views. You may like to pay a quick visit to see the beautiful village of Nagarkot for a short while. On the way back to Kathmandu, you will visit Boudhanath stupa (UNESCO world heritage site). This is a fantastic Buddhist stupa at a place known as Buddha, about 7km east of Kathmandu. The largest spherical stupa is held in great veneration both by Lamas of Nepal and Tibet. Drive back to hotel in Kathmandu. After lunch, we will go to Kirtipur for sightseeing tour. 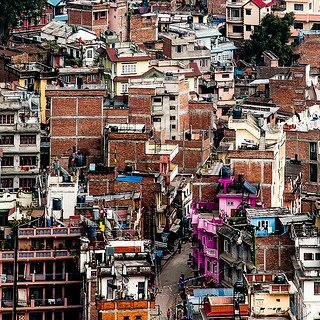 Kirtipur is one of the oldest towns in Kathmandu valley. Kirtipur contains several Buddhists sites both old &amp; new. Cilancho Stupa is of historic importance. A Bihar has been made in Kirtipur, which contain the miniature sites representing Lumbini – the birthplace of Buddha, Boudhgaya – where Buddha got enlightenment, Saranath – where Buddha gave his first teaching and Kushinagar – where Buddha died. After breakfast drive to famous Durbar Square of Kathmandu (UNESCO World heritage site) dominated by Shiva temple where the "Living Goddess" overlooks the square from the south. The square itself is squeezed by the palace into two parts: at the southern end is the Kasthamandap – the ancient building that probably gave Kathmandu its name. Our next destination is Patan Durbar square. (UNESCO World heritage site). Patan Durbar Square complex is perhaps the most photographed of the three durbar squares. Located in the heart of Patan city, this was once the palace of the kings of Patan. The square is a display of Newari architecture that had reached its pinnacle during the reign of Malla kings who were great builders and patrons of the arts. Finally, we will visit Swoyambhunath Stupa. Swoyambhunath (UNESCO World heritage site) is believed to have been established more than 2,500 years ago. Swoyambhunath had developed into an important centre of Buddhism. Transfer to airport for your flight back home. boating, in Phewa Tal, Lake, achhapuchhre, Annapurna, Dhaulagiri Himal ranges, shopping, Annapurna Himal, Machhapuchhare, Davis fall, Tibetan Refugee Camp, old market, Vindhebasini Temple, Seti George. Upon arrival, you will be met by our representative and transferred to the hotel. After a short rest by visiting the 2000 years old Swayambhunath Stupa (UNESCO World heritage), sometimes also known as the monkey temple .The temple charms with its great dazzling stupa, while at the same time offers a marvelous view of Kathmandu Valley. Next destination is Patan, (UNESCO World heritage) the oldest and second largest of the three cities in Kathmandu valley. Patan likes to recall its old name Lalitpur (city of beauty). Above all, it remains a proud city of artisans; Patan produces nearly all Nepal’s fine metal work. Enroute, stop at a Tibetan carpet factory where you can see the spinning, dyeing and weaving of Tibetan carpets. Drive back to hotel. After breakfast, we will drive you up to Pokhara, the third largest city in Nepal. Upon arrival, check in to hotel. In the evening, enjoy boating in Phewa Tal (Lake) while enjoying the beautiful Himalayan panorama, especially achhapuchhre (or ‘Fish Tail’ in English), Annapurna and Dhaulagiri Himal ranges. Walk back to the hotel with some shopping along the lake front area. A half day tour of Pokhara is in store for you as we visit various parts of the lakeside village, and enjoy one of the most beautiful panoramas in the world made up by the Annapurna Himal, the majestic Machhapuchhare and other surrounding snow-capped peaks. We will be visiting Davis fall, followed by the Tibetan Refugee Camp where barter-trading is still being practiced. Then we will visit the old market of Pokhara and Vindhebasini Temple as well as Seti George. After breakfast, visit pagoda style temple in the middle of Phewa Lake dedicated to Barahi (Water Goddess). Then, transfer to Pokhara airport to catch a flight to Kathmandu. Arrive Katmandu and check-in to hotel. Free at leisure in the evening to enjoy shopping and sightseeing on your own. After breakfast we will go to Kirtipur – one of the oldest towns in Kathmandu valley. Kirtipur contains several Buddhists sites old &amp; new. Cilancho Stupa is of historic importance. A Bihar has been made in Kirtipur, which contains the miniature sites representing Lumbini - The birth place of Buddha, Boudhgaya - where Buddha got enlighten, Saranath - where Buddha gave his first teaching and Kushinagar - where Buddha died. Above Chobhar in Kirtipur, we find the temple of Adinath where God is worshipped by both Hindus &amp; Buddhists. After Kirtipur we will visit Chobhar Gorge, The Gorge cut by Manjushree to let the water of Kathmandu flow out of the valley is visible here. Then drive to Nagarkot, which is at a height of 2300 m above the sea level. From this lovely scenic spot you can catch the excellent views of the Himalayan range at sunset and even see Mt. Everest on a clear day. After breakfast drive towards Kathmandu. Enroute, sightseeing tour to Boudhanath stupa (UNESCO World Heritage Site). After lunch in Kathmandu, we will visit the famous durbar square of Kathmandu, and Hanumandhoka (Hanuman gate) and Kasthamandap dominated by Shiva temple where the “Living virgin Goddess” Kumari lived. See also the temples of God Shiva and Parvati, Narayan temple, Seto bhairab, Kal bhairab and Taleju temple, which were built in 17th century. Rest of day free at leisure to enjoy shopping or relax at your hotel. Transfer to airport for flight back home. Upon arrival, you will meet our staff and you will be transferred to Hotel. After short rest, we will visit the Swayambhunath Temple, said to be 2500 years Stupa on a hillock, which offers a breath-taking view of Kathmandu City and the Sunset view. This Stupa is the oldest of its kind in Nepal, listed in the UNESCO World Heritage Monument Listed in 1979.Next; we will visit historic Kathmandu Durbar Square (Hanuman Dhoka) if you are lucky, you will be able to have a glance of the famous living Goddess of Nepal name Kumari, Nepalese traditional cultural show with dinner at restaurant. After dinner you will be able to stroll along the busy street of Kathmandu city center. Overnight Kathmandu. After breakfast, a scenic drive to Pokhara (5-6hour) 200kilometer west of Kathmandu. Lunch will be served on the way. 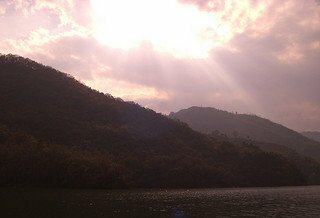 Pokhara is a second largest city of Nepal. In Pokhara, we will enjoy the panoramic view of snow capped mountain with beautiful Lake Fewa, The Annapurnas and the famous “Fishtial” mountain peak of Machapuchare Tower over the tropical setting of Pokhara. Upon arrival, check in to the hotel. After short rest we will proceed for 1hour boating at Fewa lake which located walking distance from your hotel. There will be the scenic highlight of your trip. Dinner and overnight stay at Pokhara. 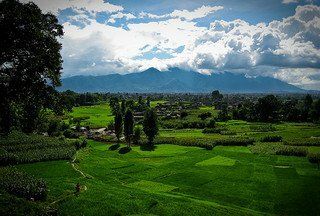 Wake up early in the morning and short drive to Sarangkot to see sunrise, which is one of the most popular tourist spot of Nepal. Sharankot Hill top is situated at elevation of 1500 meter from sea level. It will offer magnificent view of snow capped mountain in the north &amp; city view of Pokhara with beautiful lake. Later we will back to hotel for breakfast. After leisurely breakfast, we will set off for city tour, also called “Magic Land or Dreamland” of Nepal. Tour Highlights: Swayambhunath Temple, Durbar Square, Fewa Lake, Mt Annapurna, Mahadev Gupteswor Cave, Nagarkot, Boudhanath Stupa. Devi’s fall, Mahadev gupteswor cave And Tibetan refugee camp, you can see at Tibetan refugee camp Their way of life specially the women knitting hand make carpet factory, which is best quality made from mountain goat’s special wool. Evening free for shopping around lakeside area dinner and Overnight stay in Pokhara. Depart Pokhara to Kathmandu 200 kilometer by private coach or domestic flight (USD 96 optional) Upon arrival in Kathmandu, we would continue 1 more hour drive to Hill station Nagarkot, 2300m above seal-level, this scenic spot, with a spectacular view of the sunset and Mount Everest can be seen on a clear day. In the evening, enjoy the sunset view.Dinner and overnight stay in Nagarkot. Enjoy sunrise view from resort room balcony. All rooms are facing to Sunrise and Mountain views. Leisurely breakfast at resort, 1 hour drive to Kathmandu and check in to the hotel. After short rest, we will proceed to visit Boudhanath Stupa (UNESCO World heritage site in 1979) in the Kathmandu Valley, a vast dome-shaped monument representing the Mind of the Buddha, is the primary pilgrimage destination for Tantric Buddhists of the Himalayas and a major draw for Tibetan Buddhists from all over the planet. Lunch will be served one of the restaurant near shopping area. After lunch, fee and easy for your final shopping. Stay overnight in Kathmandu. Free at Leisure after Breakfast before transfer to hotel for your flight home. The Royal National Park (960sq Kms), formerly a royal hunting reserve, lies in the low land Tarai zone of Southern Nepal. If is home to an extraordinary range of the world’s rarest animals and birds. Today, we’ll enjoy the bird watching, followed by the jungle walk on the elephant back safari through the jungle and canoe ride, Tharu cultural show in the evening. Overnight stay at Chitwan National Park. Wake up early in the morning and short drive to Sarangkot to see sunrise, which is one of the most popular tourist spot of Nepal. Sharankot Hill top is situated at elevation of 1500 meter from sea level. It will offer magnificent view of snow capped mountain in the north &amp; city view of Pokhara with beautiful lake. Later we will back to hotel for breakfast. After leisurely breakfast, we will set off for city tour, also called “Magic Land or Dreamland” of Nepal. Devi’s fall, Mahadev Gupteswor Cave And Tibetan refugee camp, you can see at Tibetan refugee camp Their way of life specially the women knitting hand make carpet factory, which is best quality made from mountain goat’s special wool. Evening free for shopping around lakeside area dinner and Overnight stay in Pokhara. Free at Leisure til time for transfer to the airport for your flight home. An original travel agency which creates tailor-made tours focusing on quality and off the beaten tracks journeys. Welcome at the airport and transfer to the hotel in the center of Delhi. Night at the hotel. Visit the villages of Shekhawati: Nawalgarh or Fatehpur, their lively and Colourful Bazaars and some beautiful havelis. Mandawa, a small bustling city; Mahansar, a peaceful village hiding all the treasures of Shekhwati. Night in the hotel. Long drive to Jaisalmer. Jaisalmer is like an oasis in the desert. Arrive in the evening. Overnight in the hotel. Visit Jaisalmer: walking through the fort, Jain Temples and sumptuous Havelis. Night at the hotel. Departure by jeep to the dunes in the desert of Thar. On the way, visit the Jain temple of Amarsagar. Lunch in Khuri village. Depart for riding on a dromedary in the middle of the desert. Arrival at the camp at sunset. Dining and overnight at the camp in the dunes. At sunrise, have breakfast and return to Khuri riding on a dromedary via a different route from the day before. Return by jeep to Jaisalmer. Lunch. Free afternoon. Night at the hotel. Depart in morning for Jodhpur. On arrival, check-in to the hotel. Visit the old city- Clock Tower and Sardar Market. Overnight at the hotel. Visit Meherangarh Fort, perched on the top of a hill. Walk through the winding lanes of the blue city. Drive south to the villages of Ghanerao, Narlai or Jojawar. Short trip to Ranakpur and visit the Adinath Jain temple. Night in heritage hotel. Visit the traditional villages. Head to Udaipur through beautiful landscapes of the Mewar Mountains. Check in to the hotel. If you would like to attend a procession in a Hindu temple, visit to the Jagdish temple around 8 pm is suggested. Night in the hotel. Visit Udaipur, the “Venice of the East” around the Lake Pichola and surrounded by peaks of Aravalli range. A boat ride on Lake Pichola is worth the experience. Visit the City Palace and the commercial lanes. Overnight at the hotel. Depending on the stage: Udaipur– Chittorgarh: drive in the direction of Chittorgarh, the ancient capital of the Mewar kingdom. Visit the enormous fortress and its ramparts. Night in the hotel. Udaipur– Deogarh or Sardargarh: drive north and visit the temples of Nagda, Eklingii and Nathdwara, before taking a small mountain road to visit the huge fortress of Kumbhalgarh. Short drive to Sardarharh or Deogarh. Night in the hotel. Drive to Pushkar, a small peaceful village built around a holy lake, which is also an important place of pilgrimage for Hindus. Arrive at the end of the day. Visit and walk through the village. Night in the hotel. Drive to Jaipur, the pink city. Check in to the hotel. Explore, on foot, the lively old city: the City Palace, Hawa Mahal or the ‘Palace of Winds’. Night in the hotel. In the morning, visit the Amber Fort, the ancient capital since 1728, another Indo-Muslim architectural jewel. In the afternoon, visit the different Bazaars. Night in the Hotel. Drive to the old Kesroli fort, in the countryside OR drive to Keoladeo National Park. Check in and night in the hotel. Kesroli or Bharatpur - Agra by road. Stop en route at the ghost town of Fatehpur Sikri, 40 Km west of Agra. Continue drive to Agra. Overnight in the hotel. 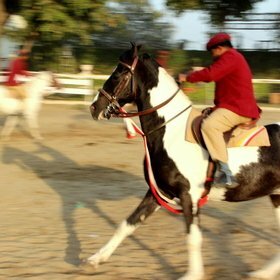 In the morning, at sunrise visit the fabulous Taj Mahal, and later visit the Red Fort. In the afternoon, drive to Delhi. Check in and night in the hotel.